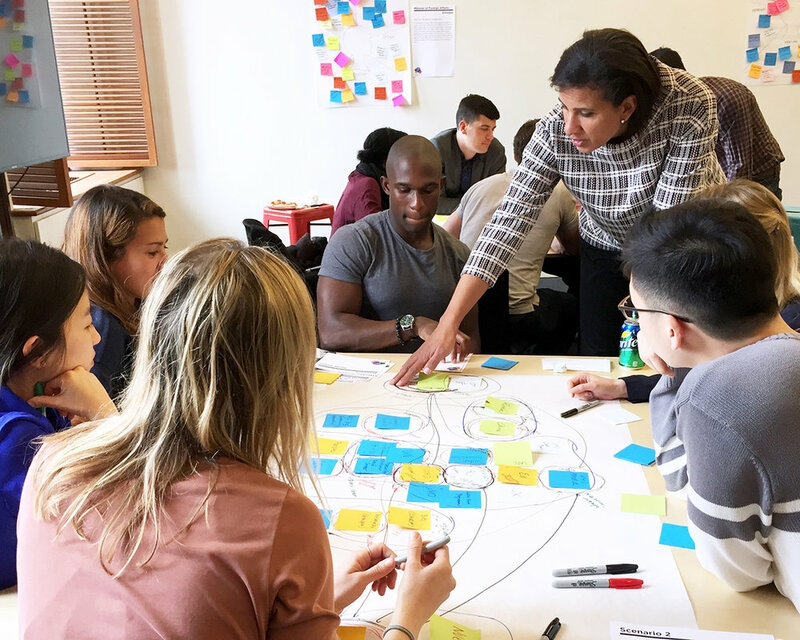 We partner with teams dealing with complex problems that have an ethical dimension to contribute to a more complete understanding of the issues in play and seek creative pathways forward, generating new insights and ideation for real-world solutions in the process. We work with specialists in different fields to discern morally salient features of a situation, recognize places where existing philosophical distinctions lend a helpful sense of clarity, and find places where the problem poses a new challenge that existing theories are not yet equipped to help with. In Fall 2018 we worked with the Harvard University Privacy Tools Project, a group of computer scientists who are tackling the challenging issue of how to preserve privacy in the era of Big Data. Existing tools for protecting the privacy of individuals by de-identification or anonymization of the data, it turns out, don’t survive recent developments in the ability to aggregate large databases. Their team has developed Differential Privacy, which can preserve higher degrees of privacy by intentionally introducing selected noise into the system (a mathematical invention that won the Godel Prize in mathematics). Of course, noise comes at a cost: it reduces the informational utility one can get out of the datasets. How then to set the privacy loss parameter—how much privacy for individual data subjects should be traded off for how much utility one can get out of a data set? The question involved technical questions, but it also raised a set of ethical questions. Ethics Lab led the privacy tools project research team through a series of exercises designed to explore the issue through several lenses. First, we zoomed in on each individual’s understanding of the value of privacy and how that intersects with the utility, bringing each researcher’s own tacit assumptions to light. Then in teams, participants looked at the broader institutional setting around the flow of information to reveal different value motivations and expectations for privacy. We concluded by having participants consider the perspective of the priorities of a non-technical user to better understand how such a person might understand these tensions. Ethics Lab led a two day multi-session workshop on patient-centered ethics for 40 Medical Affairs professionals from a leading international pharmaceutical company. We worked with their team to help foster integrative thinking in discerning and analyzing ethical quandaries in the realm of patient-centered bioethics, identifying internal barriers to communication, applying tools for mission-driven approaches to workplace conversations, and constructing an understanding of ethics as a foundation of leadership. Building on the foundation laid by a series of talks on foundational clinical ethics, research ethics, patient-centered bioethics, and communications, Ethics Lab led the group through a series of activities that helped the group prototype ideas for removing informational barriers for patients, and structuring and communicating proposed change to further the patient-centered model at the organizational level. An executive present expressed interest in funding several of the ideas that were generated by participants during the workshop, including a plan for improving company relations with patient advocacy groups. We are excited about collaborating on direct-impact projects that tackle emerging ethical issues in technology, medicine, civil society, and more. We can work with you and your team to help surface and navigate the ethical issues embedded in your project space.